At Wool & Co., we are always excited to begin holiday knitting. The Magic Rib Hat & Scarf by Susie Bonell are both simple & luxurious. Knit with Cascade Eco Duo or Cascade Color Duo, the super soft alpaca & Merino wool blend is sumptuous to wear & knit….and the yarn does all of the work for you! Each skein creates a fading gradient. Choose from an array of soft naturals or fun colors. The hat & scarf requires just one skein each of Eco Duo or Color Duo. The hat requires US 9, 16” circulars & US 9 double points. The scarf can also be knit on the US 9, 16” circulars. 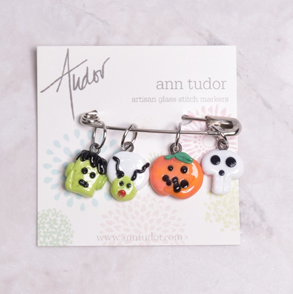 Just in time for the Fall season, we are also proud to introduce Ann Tudor Artisan Glass Stitch Markers to our store. Ann Tudor is an American glass artist with a passion for knitting. 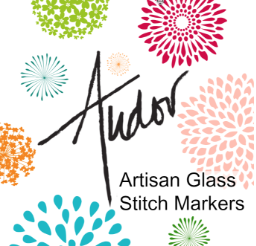 Each one of a kind stitch marker is hand-made using rods of glass & a torch. They are then fired in a kiln to provide strength & durability. These adorable stitch markers will make you smile row after row. 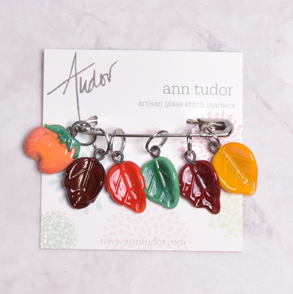 View Eco Duo, Color Duo, & our collection of Ann Tudor stitch markers online or visit our destination store in St. Charles, IL.